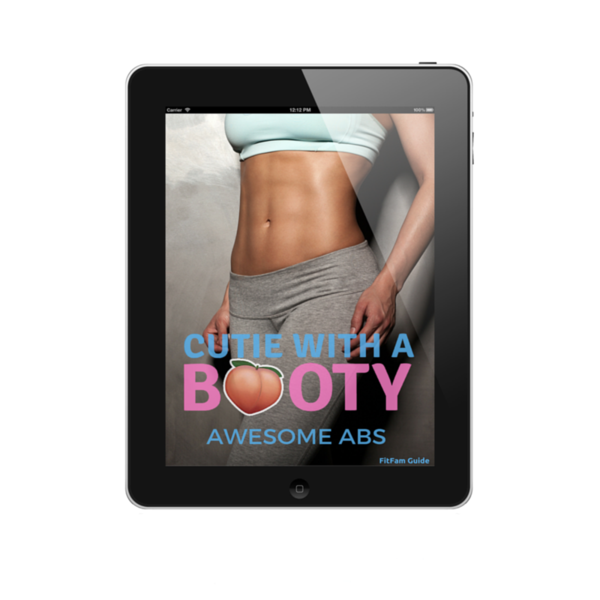 Cutie With A Booty: Awesome Abs is an 8 week program that is designed to give you a Toned, Tight, and Slim waist without the marketing scams that we all see nowadays! The program is focused on working your all three sections of your abs: Upper & Lower Rectus Abdominis and the Obliques! How does having a Toned, Tight, and Slim waist help your overall health and well being? We're so glad you asked! Working your abs is the concrete foundation to having a strong body. Nearly all exercises rely on your Abs to stabilize you during motion. Your core - the dozens of muscles between your shoulders and your hips - contracts first in every exercise. A strong core will allow you to apply more force to a barbell, for example. Your abs work hard at stabilizing the weight during Squats. What does Cutie With A Booty: Awesome Abs consist of? All three of these are a necessity for hitting every part of your muscles with different rep ranges and great variety of exercises!